Today's story is from Karin Perry. 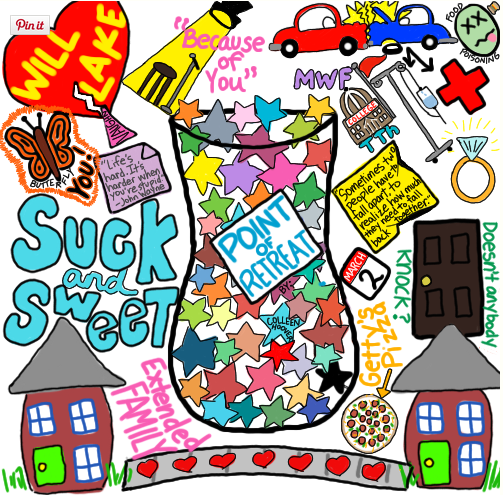 She'll literally illustrate her path about sketchnoting book. Well, I've been sketchnoting for 7 months. I was at a conference on April 27th and started sketchnoting during that. In the attachment below you'll see my first attempt. I wasn't prepared. I only had my pens and a notebook. Nothing to really add color. Also, you can see that I didn't add many pictures so basically these are just notes. (The presentation was extremely fast-paced. It was tough to listen and get stuff down on paper at the same time.) My colleague Dr. Mary Ann Bell was the first person to bring sketchnoting to my attention. At the end of the first day I made a trip to the office supply store and bought colored pencils. I was afraid markers would leak through my paper. There was a definite improvement on Day 2. 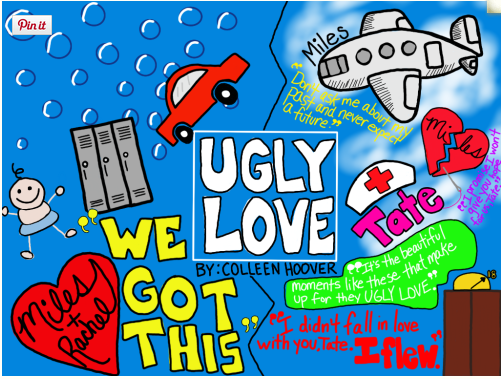 A few days later (May 3rd) I created my first sketchnote based on a young adult novel. Based on what I know now, there is WAAAAYYYY too much white space and my quotes were too long. The next week I finished the book DUMPLIN' by Julie Murphy. It is great by the way. I did the sketchnote for it right away. It was definitely better than NOWHERE BUT HERE, but still needed some improvement with white space. At the end of May I made a jump to the iPad. As you'll be able to see, I still struggled with white space – even using a different medium. What I liked and still like about the iPad is the ability to zoom in and out to draw easier in tight spaces and the ability to erase to get something right. 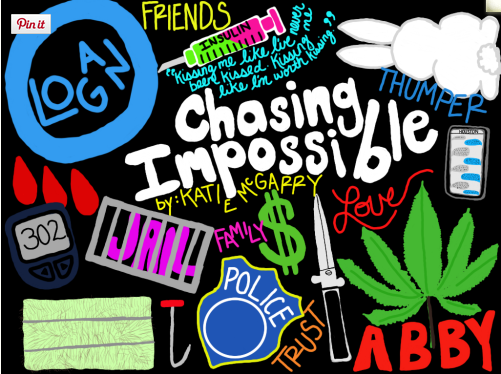 Here is one based on the book REBOOT by Amy Tintera. 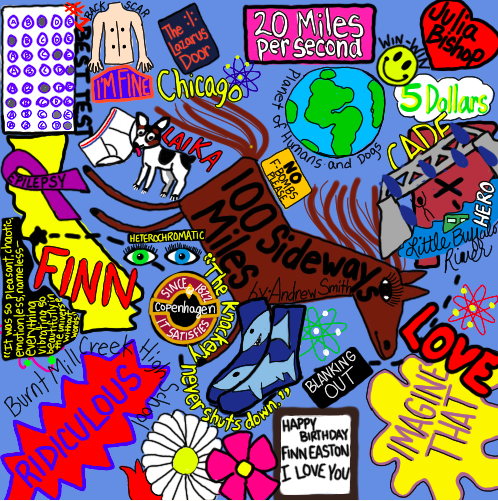 I was feeling creative I guess since I put the Sketchnote inside the state of Texas, which is the setting for the book. In June, 2015 I made another change to my system. I decided to try different background colors in my sketching app. By this time I also settled on my preferred app which is Autodesk Sketchbook. I did pay for the extra tools, but it wasn't that much. The app itself is free and I could definitely get along without the extras, but I just wanted them. The extras give more colors and some cool tools like blending and stuff.Also, I hope you'll be able to see that I'm getting between with blank space. I'm filling up the page better in each one. At the end of July I made another change. I started formatting my "canvas" to a 500px to 500 px square. This is mostly because I post my Sketchnotes to Instagram. My space issues are still improving. On July 28th I attended the Scholastic Reading Summit. This is the first workshop/conference that I did my Sketchnotes directly on the iPad. It was an all day conference so it took two Sketchnotes. My technique seems to have leveled out. Here are a few of my favorite recent sketchnotes. My goal now is to work on lettering. Thank you for inviting me to post. Make any adjustments you need to. It is fantastic to see how Karin's techniques evolved in time. Thank you very much for sharing your story Karin!